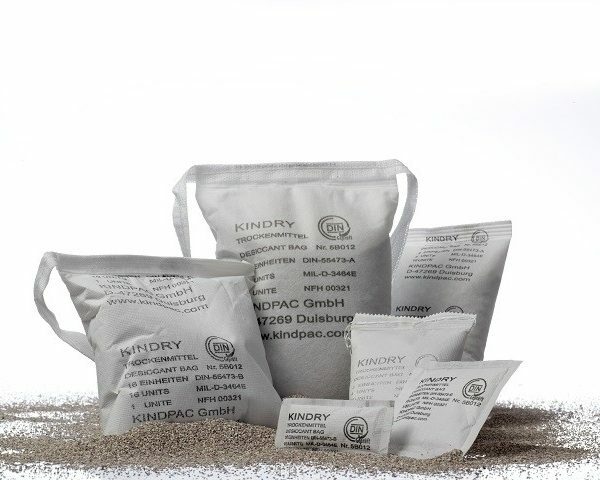 DIN Dry Type B Dustproof 16DU desiccant bags, filled with Bentonit clay, a drying agent with a layered structure on the surface and absorbs moisture between the layers. Measurements 210 x 170 x 25mm. Available in quantities of 5 or 45 pieces. Customers rate us with a 9/10! DIN Dry Type B Dust Proof, with a weight of 530 gram. 16 DU (Desiccant Unity), measurements 210 x 170 x 25mm. Din Dry B Dust Proof 16DU available in quantities of 5 or 45 pieces. 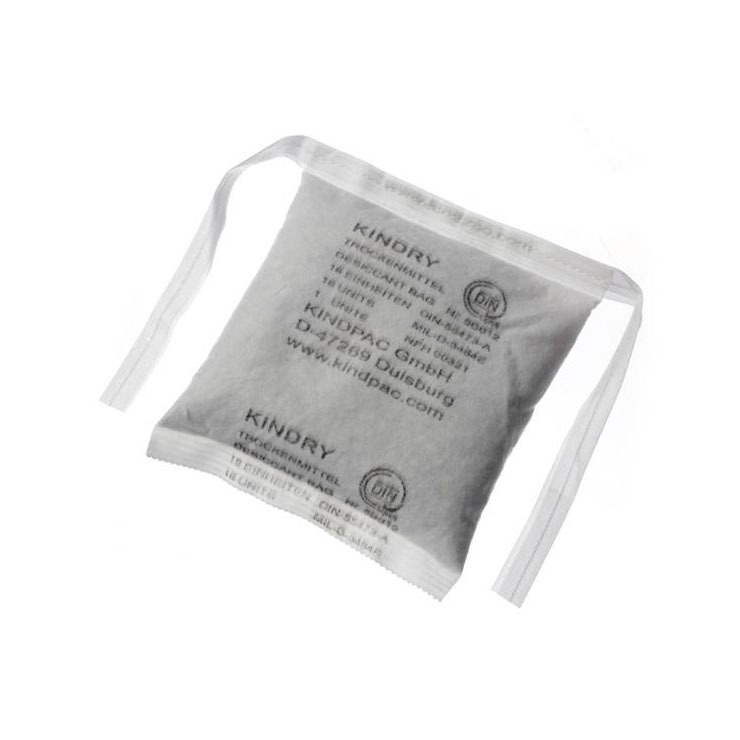 DIN Dry Type B (Dustproof) desiccant bags absorb moisture from the surrounding air and keep it fixed. In a sealed foil bag (also referred to as barrier), or hermetically sealed spaces (e.g., control cabinets), they can decrease the relative humidity. This prevents corrosion, mold and condensation. DIN Dry desiccant bags are filled with clay Bentonit, a drying agent having a layered structure that attracts to the surface and between the layers of moisture. Bentonite clay is chemically neutral, non-toxic and environmentally friendly. 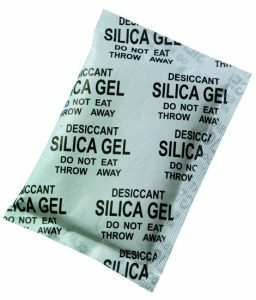 After use DIN Dry desiccant bags just be put in the garbage. For hermetically sealed spaces such as metal cabinets or metal drums can be used as a rule of thumb 5 DME (desiccant unit) used per 1 m3 or 1.000 per liter. Desiccant Bags are evenly places in the top of the bag. DIN Dry desiccant bags comply with DIN 55473 and MIL-D-3464E standard norm. This is a standard norm and always the same around the world.